An auto dealership can really benefit from a referral program. 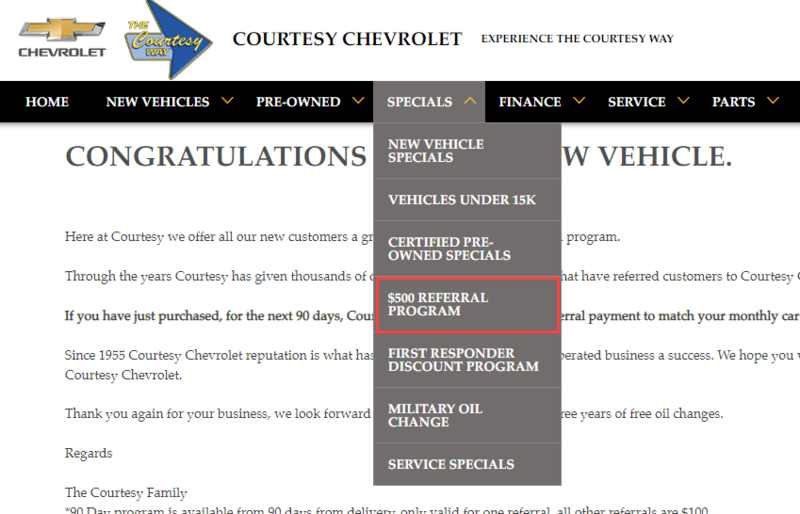 Courtesy Chevrolet does a pretty great job of intriguing referrals to happen with a rather generous gift card. The only thing that knocked this program rating down is that they ask for a lot of information about the customer’s friend (their referral). Requiring both the person’s email and phone number may deter people from referring as many people are uncomfortable sharing that information without the permission of their friend. The referral program is a one-sided program, offering the customer a $100 incentive for referring. It’s unclear if the referral will also be rewarded as well, which can make it a hard sell to a friend. Fortunately, most people being referred to a dealership are likely in the market for a new car anyway, so the personal recommendation aspect of it works. 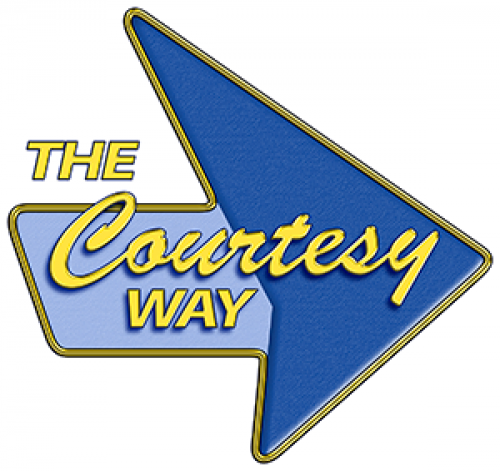 To intrigue the customer, even more, they offer a $500 reward for referring within the first 90 days of purchasing a vehicle.